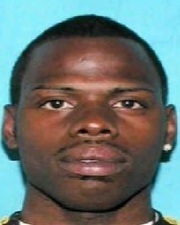 New Orleans police are searching for a man previously convicted of federal gun crimes on a set of new charges from a raid last week at a Central City home, authorities said. “Williams is a convicted felon and has served time in the United States Department of Corrections for federal firearm violations,” the report states. Anyone who can help locate Williams is urged to call the NOPD Sixth District station at 658-6060 to speak to a detective, or CrimeStoppers at 822-1111 to leave an anonymous tip that could be eligible for a cash reward.